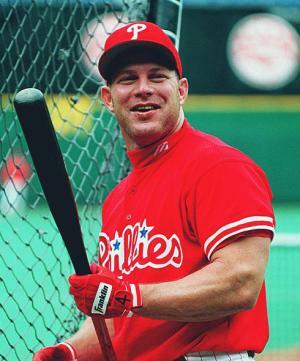 Leonard Kyle Dykstra, born on the 10th February 1963, is an American businessman, stockbroker, and former legendary baseball player famously known to have played for the New York Mets and Philadelphia Phillies, bringing both teams to the World Series. So how much is Dykstra’s net worth? As of early 2016 it is reported by sources to be minus $25 million, gained from his successful career as a baseball player, but lost mostly due to bad investments and multiple lawsuits, eventually forcing him to file for bankruptcy. Born in Santa Ana, California, Dykstra is the son of Marilyn and Dennis. His baseball career started in 1981 when he was drafted by the New York Mets in the 13th round. With his outstanding performances, within two years he was named MVP in 1983 during his time in the Carolina League, and by 1995 he was called to join the Major League. His consistent performance in the team made him one of the favourites with the fans, and helped build his net worth. In 1986, one of Dykstra’s career highlights came when he led the New York Mets to the World Series. His home run in Game 3 became one of the most memorable moments in baseball history, eventually leading his team to be hailed as champions. After six year, Dykstra was traded over to the Philadelphia Phillies in 1989. Although his early years with the team were filled with injuries and accidents, in 1993 he led his team to the World Series. The team eventually lost to the Toronto Blue Jays, but Dykstra still became one of the fans’ favourites. His fame and wealth increased, but in 1996 he played his last game and retired at the age of 35. Dykstra transitioned to being a businessman after his baseball career. He tried to run a carwash company and even managed a stock portfolio of various privately held companies. With his knowledge in stocks, he was also asked to pick stocks for the website TheStreet.com. Dykstra was maintaining his net worth at first, but eventually his personal life issues and poor choices led to his downfall. Dykstra bought a luxurious mansion formerly owned by Wayne Gretsky, in the hopes of flipping the house and profitingt. Unfortunately, the mansion proved to be a bad investment for it didn’t resell for a very long time. Dykstra also started a magazine entitled “The Players Club”, designed to help fellow baseball players to make good stock investments. However, behind the magazines’ façade were mountains of debt in an effort to keep it going. Aside from his multiple monetary obligations that led him to file for bankruptcy, he also faced several charges of grand theft, embezzlement, and money laundering. In 2012, he pleaded guilty to some of the charges against him and served six and half months of a prison sentence, plus completing 500 hours of community service. In terms of his personal life, Dykstra married Terri Peel in 1985; together they have three children, but in 2009 they divorced. Movies "The Cost of Freedom", "The Best Last Best Plane Ride Ever"
1 Son Cutter, who plays for the Washington Nationals' Class AA Harrisburg Senators, married Jamie-Lynn Sigler in Palm Springs. Former *NSYNC member Lance Bass officiated the ceremony. [January 16, 2016]. 2 Son Luke was drafted by the Atlanta Braves in the 7th round of the 2014 MLB draft. 3 After filing for Chapter 11 bankruptcy in 2009, he, in a move many found ironic, started an online financial advisory firm in 2010 called Nails Investments. 4 Brought a 6.5 acre property in Thousand Oaks, California from Wayne Gretzky for $18.5 million in 2007 and lost the house in a Ventura County foreclosure sale in November 2010. 5 Runner-up to Barry Bonds for National League MVP in 1993, when he led the league in hits, walks, and runs scored. 6 Played in the major leagues for New York Mets (1985-1989) and Philadelphia Phillies (1989-1998) Traded from the Mets to the Phillies along with Roger McDowell for Juan Samuel and Tom Edens, June 18, 1989. 8 Hit a walk-off home run in Game 3 of the 1986 National League Championship series vs. the Houston Astros. 9 Hit .348 with four home runs in the 1993 World Series vs. the Toronto Blue Jays.